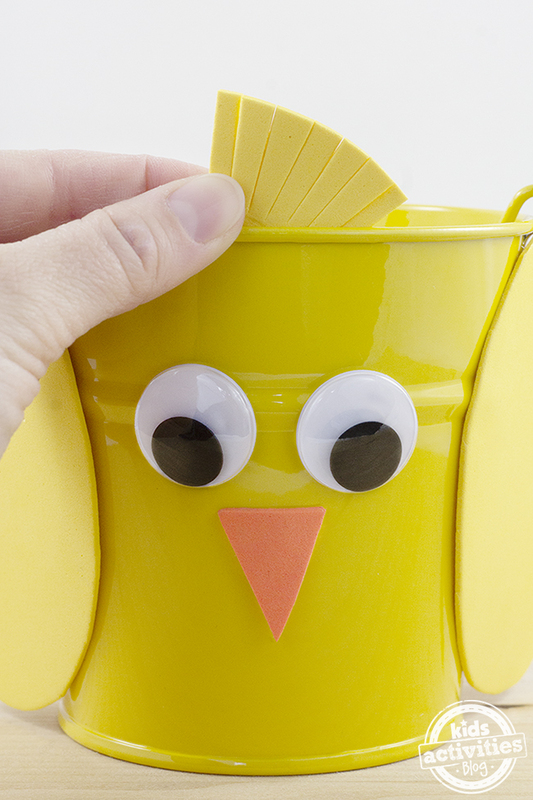 Easter Treat Pails are a fun spring surprise for children, neighbors, and teachers! 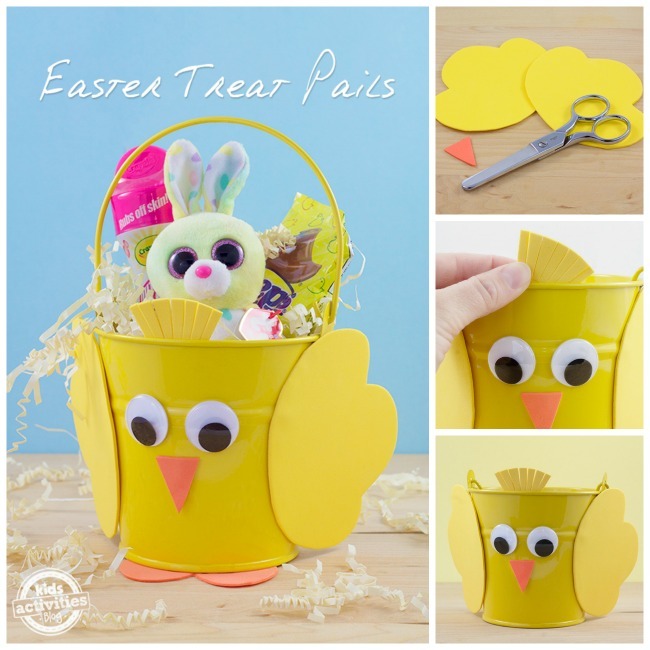 The chick pail pictured below was created with my 2-year-old niece in mind, but the contents could easily be changed depending on the recipient. Best of all, this craft is so easy to put together (kids could do it themselves) and is quite inexpensive! 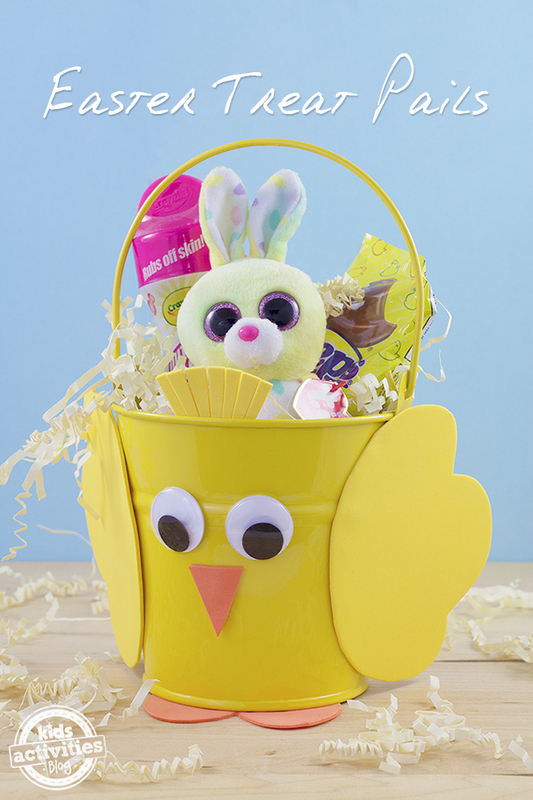 This adorable little pail is guaranteed to bring on smiles! Use scissors to cut an orange beak and 2 yellow wings from the craft foam. TIP: Fold the craft foam and cut both wings at the same time for perfect, symmetrical wings! Then attach the beak and wings to the pail with Glue dots. 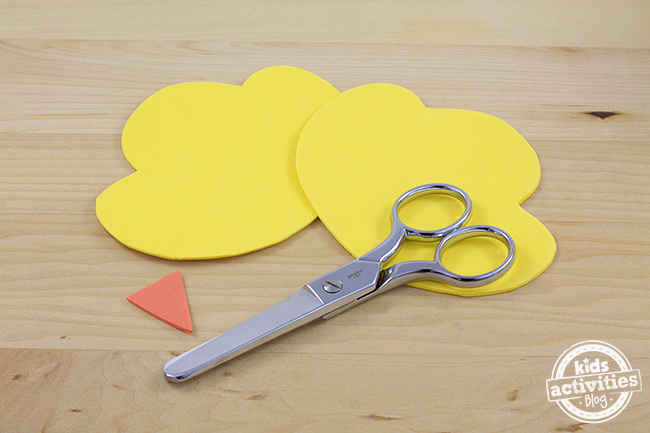 Next, cut a small, rounded piece of yellow craft foam to act as “feathers” for the top of the bucket. Cut small slits on the rounded piece and use your fingers to fluff them out. 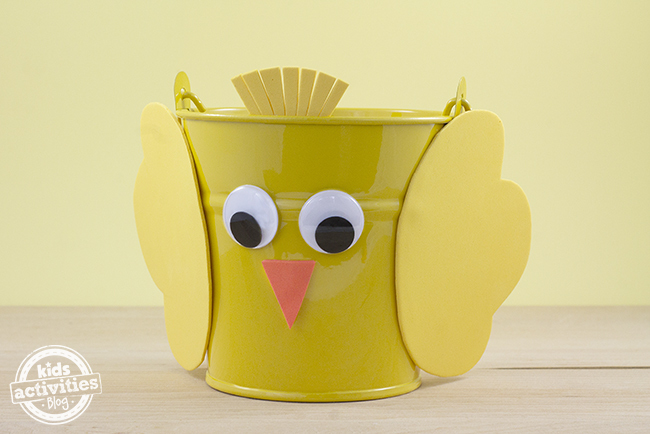 Attach the feathers to the inside of the bucket with a Glue dot. If desired, cut small chick feet from orange craft foam. A rounded heart shape makes cute feet! Attach them to the bottom of the bucket with a Glue dot. Fill the the Easter Treat Pail with paper grass (I love the look of our buttery colored grass ”it’s reminiscent of straw) and fill the pail with treats for Easter. Bubbles, stuffed toys, chocolates, and crayons will all be enjoyed by small hands! For teachers, consider filling with gift cards, powdered drink mix, chocolates, and lotions! Here are some more fun Easter crafts and activities to try! 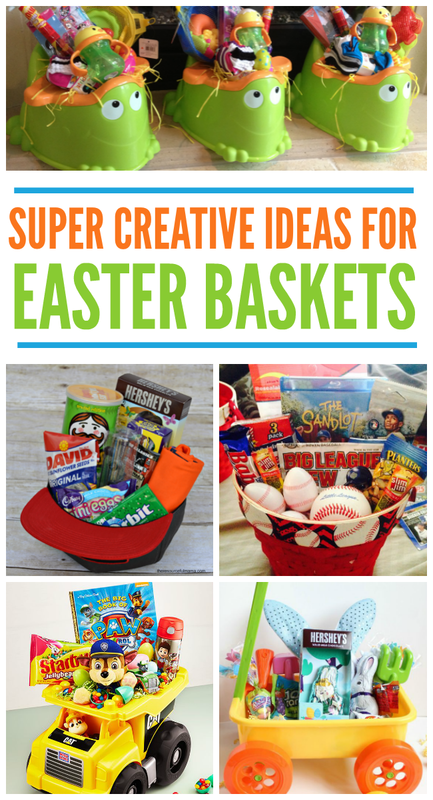 Leave a comment: What other fun crafts do your kids enjoy making for Easter?